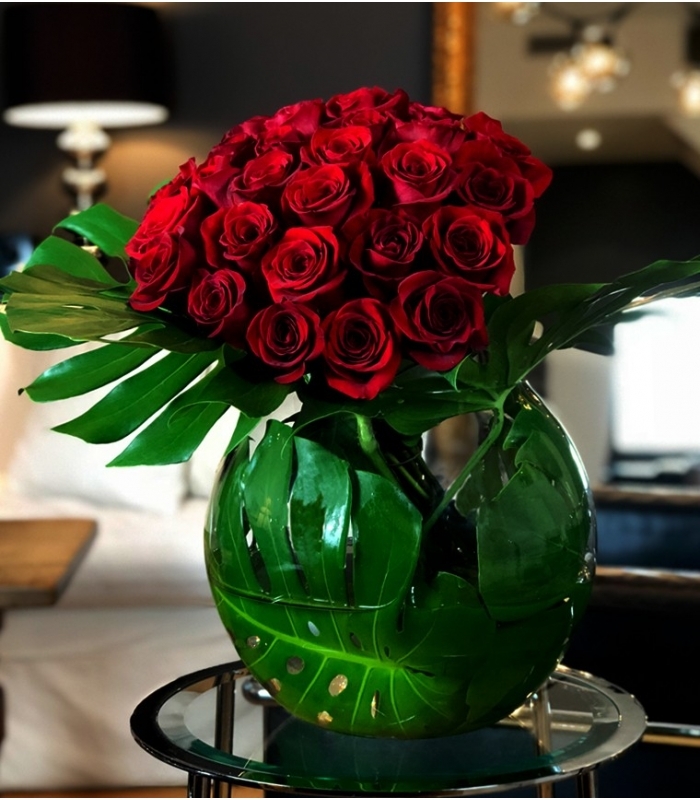 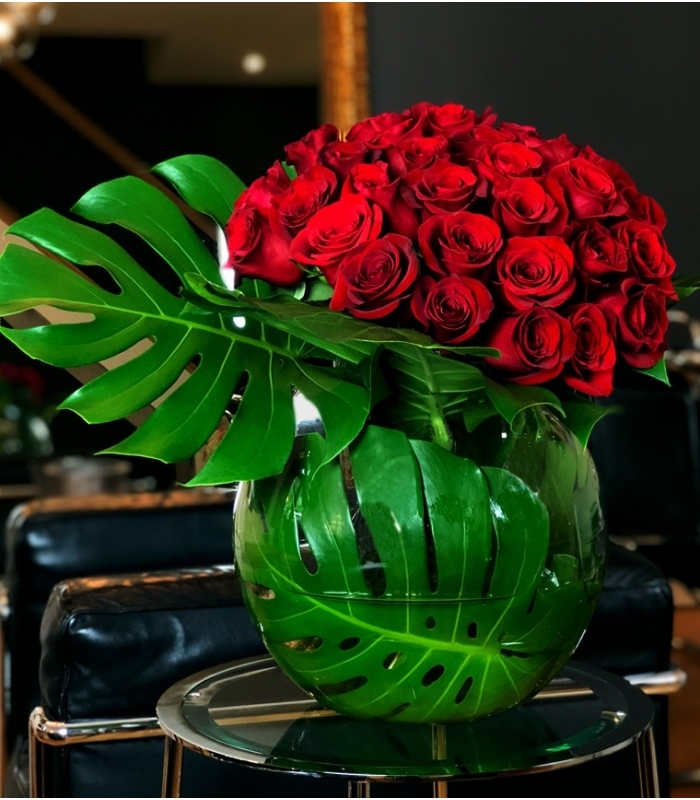 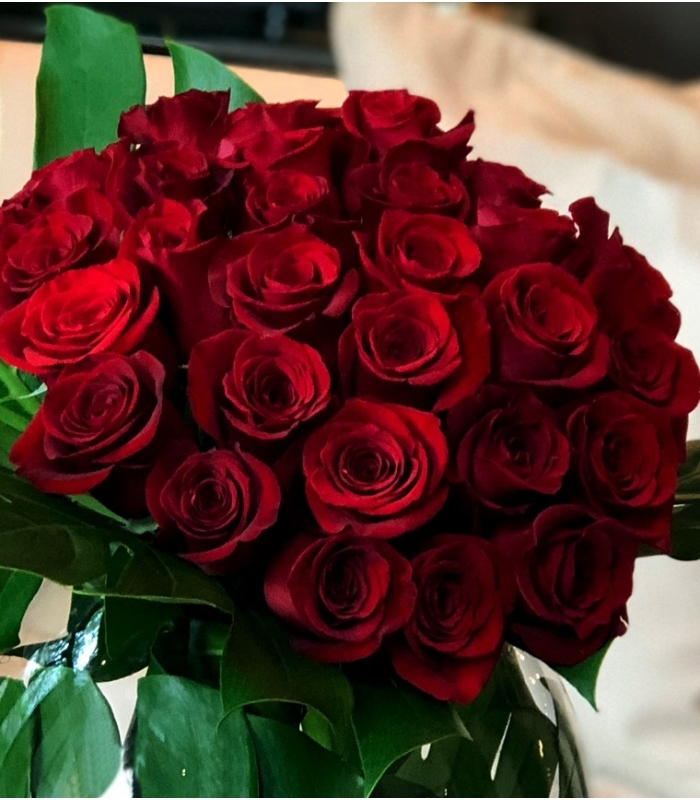 You will not resist to offer this magnificent bouquet of 50 red roses with long stems selected by our florists for the beauty and the softness of their petals. 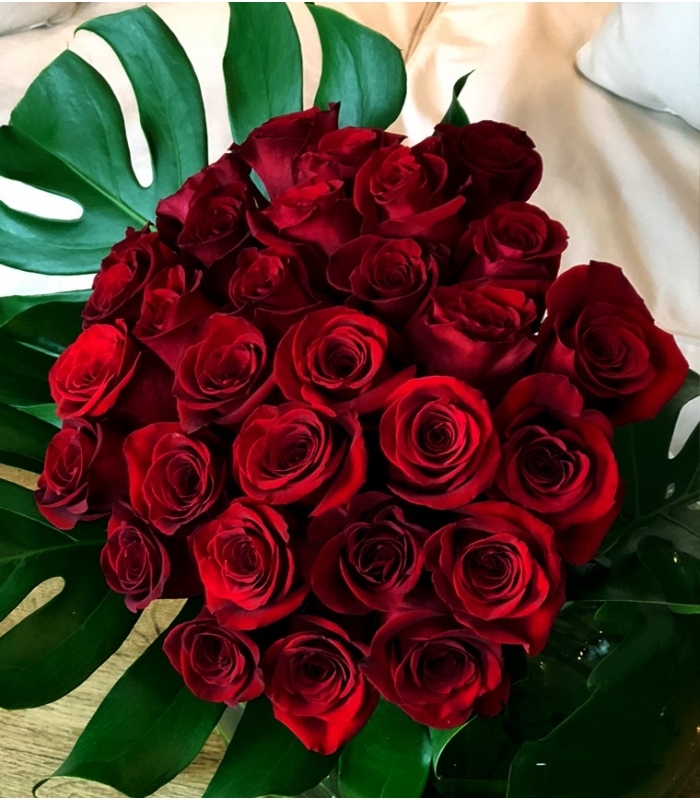 This romantic bouquet of red roses from Ecuador will symbolise your love and your most passionate feelings. 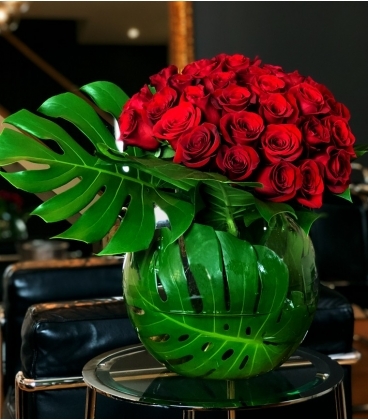 Your bouquet is delivered with a vase.